1Department of Chemistry, Faculty of Science, Tripoli University, Tripoli, Libya. 2Department of Medicinal and Pharmaceutical Chemistry, Faculty of pharmacy, University of Tripoli, Libya. 3National Medical Research Center, Zawia .Libya. In spite of the fact that the structural similarity of pyrazolidin-3-one based compounds with the triazole, the antimicrobial activity of pyrazolidin-3-one compounds, have been investigated by many research groups to achieve potent antimicrobial agents. As result of the emerged drug resistance for many antimicrobial agents, we aimed in the current study to develop new potent and safe antimicrobial agents. In this study, a series of novel antimicrobial pyrazolidin-3-one based compounds and their transition metal complexes with Fe (II), Mn (II), Co(II), Ni(II), Zn(II), Cd(II), Cu(II), Pt(II) and Mo(II) ions were synthesized in good yields using microwave irradiation. All synthesized compound (free ligands and their metal complexes) were fully characterized by several spectroscopic techniques such as molar conductance, infrared, UV/Visible electronic, 1H NMR and 13C NMR spectra. In addition, the elemental analyses and conductivity investigations were done and combined with other spectroscopic data to determine the ligand: metal [M: L or L:M] ratio. The free unattached ligands and their complexes were screened for their in vitro antimicrobial activity against Staphylococcus aureus (ATCC-29213) Escherichia coli (ATCC-25922), and Candida albicans (ATCC-10231). The achieved results indicated that some complexes are more potent than their free ligands and metal ions (Fe (II), Pt (II), Co(II), and Ni(II)), and some of the complexes are more potent than the standard antifungal amphoteracine-B. In conclusion, the biological activity results indicated the enhancement of the antimicrobial activity of some imine derivatives of pyrazolidin-3-one will open the field for scientists to develop more effective and safe drugs. Keywords: Antifungal activity, antimicrobial, Schiff base, complexation, 4-aminoantipyrine. Schiff bases and their complexes are important compounds because of their broad variety of biological activities. They have been found to posses pharmacological activities such as anticancer [1-3], antimalarial [4-6], antimicrobial[7-10], antitubercular[11,12], and anti-inflammatory [13-15]. The Schiff bases are characterized by the presence of azomethine (C-N=CHR) group and achieved by the condensation of chelation with transition aldehyde or ketone with primary amines. Owing to their selectivity, as well as the sensitivity toward the metal ions, Schiff bases have increased interest in the field of bioinorganic chemistry. In addition, they form stable complexes which have been generally recognized to serve as models for biologically important species [16-18]. It has been reported that complexes of aromatic Schiff base could catalyze some reactions as hydrolysis, oxygenation, decomposition, and electro-reduction [19,20]. In order to discover new compounds with an improved pharmacological profile, researchers oriented their work towards the complexation of Schiff bases, where some of them showed increased activity upon chelation with metal ions. The Schiff bases of 4-aminoantipyrine and their complexes are recognized for their variety of therapeutic intentions as they were reported to have anti-inflammatory, analgesic, antiviral, antitumor, antifungal and antibacterial properties [21-26]. The investigation has been done for deoxyribonucleic acid cleavage and the antimicrobial activity of transition metal complexes of 4-aminoantipyrine Schiff base with 3-hydroxy-4-nitrobenzaldehyde, where the metal complexes found to have higher antimicrobial activity than the ligand itself [19,20]. The copper complexes cleave DNA and other complexes are not effective. In the same manner, the synthesis and antimicrobial activities of metal complexes of Schiff base derived from 4-aminoantipyrine, salicylaldehyde and o-phenylenediamine were reported, and most of these complexes have superior antibacterial and antifungal activities in comparison with the free ligand [19,20]. Potentiating of the antimicrobial activity of Schiff bases by metal chelation has been synthesized by the condensation of 4-aminoantipyrine with benzaldehyde and were tested biologically. The biological activity were weak with the ligand alone but were increased significantly when were complexed with metals [27,28]. Recently, salicylaldehyde and α-aminoindole-3-propionic acid were used to synthesize new Schiff base with 4-aminoantipyrine and series of transition metal complexes were reported and their biological activities were investigated against the tested microbial strains reveals, that they showed improved biological activity when compared to the free ligands . Leelavathy and Arul have synthesized metal(II) complexes from 2-aminobenzothiazole and furfurylidene-4-aminoantipyrine and biologically screened against bacterial species K. pneumoniae, S. aureus, P. vulgaris, P. aeruginosa and E. coli and fungal species R. stolonife,r A. niger, R. bataicola, C. albicans and A. flavus and they found that the DNA binding and cleavage activity of the ligand is less than its complexes . In addition, the metal complexes of cobalt(II), nickel(II), copper(II) and zinc(II) have been isolated with ligand derived from the condensation of 4-amino-3-mercapto-6-methyl-5-oxo-1,2,4-triazine with 2-acetylpyridine (L(1)) had marked antimicrobial effect than of the free ligand . Since the quality research always demands thoughtfully framed sample and data collection techniques. In the current paper, two 4-aminoantipyrine based compounds and their transition metal complexes (Fe (II), Pt (II), Co (II), Cu (II), Ni (II), Zn (II), Mo (II), Cd (II), and Mn (II) ions) were synthesized using microwave, and their antimicrobial activity were investigated. The solvents and chemicals that are used in this chemical synthesis of Schiff bases and their complexes were purchased from Fluka analytical company, UK or Sigma/Aldrich chemical company, UK. They were of highest purity and used without further purification. Charcoal system and ion exchange (Millipore Ltd, UK) were used to distil and purify the water, which is doubly distilled, for chemical and biological procedures. Double distilled water was always used. Phosphate buffer was prepared from high grade analytical reagent materials in concurrency to standard formulas. Most experiments were performed using 0.01M phosphate buffer (pH 7.4) containing 0.1M NaCl. Microwave closed system (milestone start E-2450 MHz, Italy) was used to perform synthesis of all compounds. TLC (Thin layer chromatographic) analysis was carried out on pre-coated aluminium plates (Fluka analytical, UK). Thin layer chromatographic spots were visualized with both long (366 nm) and short (254 nm) UV light. Melting points were determined using Electrothermal SMP-30 melting point apparatus (Stuart, UK) in open capillary tubes. A bench-top L and R transistor/ultrasonic bath were utilised to assist dissolution of various compounds. Values of pH were determined using a Hanna-instruments (code HI-9321) microprocessor pH meter, standardized with standard buffers obtained from Sigma-Aldrich, UK at 20ºC. Perkin-Elmer 240C (USA) elemental analyser was utilised to perform the elemental analysis of the Schiff base ligands and their metal complexes. The infra-red spectra of samples were recorded by Varian FT-IR spectrophotometer-660 (Varian, Australia) in the region of 4000-400 cm-1. UV/Visible electronic spectra were recorded spectrophotometrically using Cary 5000 UV/Visible/ spectrophotometer (Varian, Australia), in 1cm quartz cuvettes. The molar conductance measurements carried out on a BC-3020 Professional Bench-Top Conductivity Meter and measured in DMSO solutions. 1H-NMR and 13C-NMR spectra (400 MHz) recorded by Bruker Advance 400 MHz NMR Spectrometer (Bruker, France) in dimethyl sulfoxide using tetramethylsilane (TMS) as an internal standard. The following abbreviations for the NMR exploited are: singlet (s), doublet (d), triplet (t), quartet (q), multiple t(m). Equimolar quantities (0.01 M) of both starting materials (aldehyde and4-aminoantipyrine) were weighed and triturated in clean and dry Teflon vessels to form homogeneous mixture. The reaction mixture was exposed to microwave irradiation at 350-600 Watt power for around 0.5-2 minutes with maximum heating of sixty degree centigrade. The best reaction time was established based on the reaction completion utilising thin layer chromatography and the suitable solvent system. The reaction mixture was left to cool and then the crude product mostly solid was gathered by vacuum filtration and extracted with three volumes of chloroform (3x50 ml). Then the product was dried over anhydrous magnesium sulphate, evaporated and finally recrystallized from proper solvent. The attained crystals were completely dried and their melting points were allocated. The chemical purity of the products was determined using Waters HPLC (UK) using mobile phases of chloroform/ methanol (80:20) or acetonitrile/methanol (90:10). The chemical structure for all the synthesized products were explicated using numerous techniques chiefly; 1H-NMR, 13C-NMR, FT-IR, and UV/visible spectrophotometries. Compound L1 has been synthesized by subjecting a mixture of 4-aminoantipyrine and salicylaldehyde to irradiation using microwave at 350-Watt power for 1 minute. The pure crystals of MCS04 were attained following three recrystallizations of the crude product from a mixture of ethanol hexane (9: 1). FT-IR (cm-1): 3271 (OH, str. ), 2861 (C-H aromatic), 1610 (C=N, str. ), 1692 (C=O, str. ), 1584 (C=C aromatic). 1H-NMR (400 MHz, DMSO-d6): δ [ppm] 9.22 (s, 1H, HC=N), 8.32 - 7.21 (m, 9 H, Ar-H), 2.28 (s, 3H, *CH3-C=C), 3.67 (s, 3H, CH3-N),. 13C-NMR (400 MHz, DMSO-d6): δ [ppm] 164.43 (1C, *C=N), 159.25 (1C, C=O), 162.25 (1C, Ar, C-OH), 152.37 (1C, pyrazolone ring, CH=*C-N), 140.61 (1C, Ar, C-N), 133.65 (1C, Ar), 130.02 (1C, Ar), 128.86 (2C, Ar), 126.45 (2C, Ar), 123.23 (1C, Ar), 119.72 (1C, Ar), 120.73 (1C, Ar, *C-C=N), 118.16 (1C, Ar), 109.84 (1C, pyrazolone ring, *CH=C-N), 40.52 (1C, CH3-N), 16.47 (1C, CH3). M.P = 221-222oC, % Yield = 85-90 %. Compound L2 has been synthesized by subjecting a mixture of 4-aminoantipyrine and 2-hydroxynaphthaldehyde irradiation using microwave at 600-Watt power for two minutes. The pure crystals of MCS02 were achieved after three times of recrystallization of the crude product from ethanol hexane mixture (7:3). FT-IR (cm-1); 3392 (OH, str. ), 2860 (C-H aromatic), 1647 (C=O, str. ), 1635 (C=N, str. ), 1583 (C=C aromatic). 1H-NMR (400 MHz, DMSO-d6): δ [ppm] 9.32 (s, 1H, HC=N), 8.22-7.16 (m, 11H, Ar-H), 2.28 (s, 3H, *CH3-C=C), 3.67 (s, 3H, CH3-N). 13C-NMR (400 MHz, DMSO-d6):δ[ppm] 169.63 (1C, Ar, C-OH), 159.25 (1C, C=O), 164.21 (1C, *C=N), 152.37 (1C, pyrazolone ring, *CH-C=N), 138.81 (1C, Ar, C-N), 133.65 (1C, Ar), 134.34 (1C, Ar), 130.02 (1C, Ar), 129.45 (1C, Ar), 128.86 (2C, Ar), 127.35 (1C, Ar), 128.01 (1C, Ar), 126.45 (2C, Ar), 123.23 (1C, Ar), 119.72 (1C, Ar), 121.87 (1C, Ar), 115.47 (1C, Ar, *C-C=N), 109.84 (1C, pyrazolone ring, *CH=C-N), 40.52 (1C, CH3-N), 16.47 (1C, CH3). M.P = 230-231oC, % Yield = 85-95 %. The metal complexes were synthesised by weighing and triturating of equimolar amounts (0.01M) of Schiff base ligand and divalent sulphate or chloride or nitrate metal salts of Fe (II), Mn (II), Co (II), Ni (II), Zn (II) Cu (II), and Cd (II) using dry and clean Teflon vessels. The reaction mixture was microwaved at 600 - 800 Watt for about three to five minutes utilising 0.5 ml 100% ethanol as a solvent. The best reaction time was allocated depending on reaction completion and this confirmed by using TLC with appropriate solvent systems. The obtained crude product was washed many times with ether and ethanol and eventually recrystallized with pure ethanol. The antimicrobial activity (antibacterial and antifungal) of the entire synthesized Schiff base ligands and their complexes were tested utilising agar diffusion method against numerous strains of microorganisms. Staphylococcus aureus (ATCC-29213) and Escherichia coli (ATCC-25922), Candida albicans (ATCC-10231) who were identified and obtained based on the American type of cell culture collection (ATCC) at the concentration level of 5 µM. Standard manufacturer’s procedure was used to prepare the nutrient agar. The synthesized Schiff bases (ligands) and their complexes were dissolved in DMSO and introduced into the inoculated agar following sterile procedure, which then incubated overnight at 37ºC. Standard antibacterial (ciprofloxacin) and antifungal (ketoconazole) were used as references and the resulting inhibition zones (diameter, mm) were recorded as listed in Table 4. The minimum inhibitory concentration (MIC) was defined as the lowest concentration of experimental compounds that lead to a decrease in absorbance compared with that of the control (without experimental compounds). The MIC was determined in vitro in triplicate by broth dilution method  and average of them was considered. The reference drugs used were Ciprofloxacin as an antibacterial standard and fluconazole as an antifungal standard as shown in Figure 5. All biological experiments were conducted in triplicate and data are obtainable as mean values ± standard deviation of at least triplicate determination. Analysis of variance (ANOVA) followed by Dunet’s test were used to allocate the significant difference between samples using SPSS version 13 and p value should be less than <0.05. Microwave irradiation is highly effective heating source in chemical reactions, and has been shown to accelerate the reaction rate, significantly reduce reaction times and increase product yields. In addition, it has been reported that microwaves assisted synthesis could enhance the product purities and offer better reproducibility of the reactions via the uniform and selective heating compared to conventional heating methods. The advantages mentioned above for the microwave assisted synthesis have been widely exploited in the organometallic chemistry, early in 1991, the microwave synthesis of organometallic stannous complexes was reported with shorter reaction time[33-36]. Comparison of microwave assisted synthesis of manganese(II) complexes of some amide containing ligands with conventional method has been reported, the microwave method is easier, convenient and offered improved yield . Fast and efficient synthesis of Schiff bases and transition metal ions complexes for benzenetetracarboxylic acid using microwaves assisted method has been reported . Recently, the description of the microwaves synthesis preformed for some essential metal ions complexes with 4-aminoantipyrine based ligands with significant reduction in the reaction time, improved product yields and enhanced purity of the final products . In the present work, the synthesis of L1 and L2 Schiff bases derivatives of 4-aminoantipyrine and their complexes is shown in scheme-1 with high yields of the final product (86-97%); the proposed structures of the L1 and L2 complexes are presented in (Figure 1). The physical properties (melting point, solubility and colour) and the analytical data for the free ligands L1 and L2 and their complexes are as shown in Table-1 and Table-2, respectively. The formation of 2:1 ratio [L:M] where concluded based on the elemental analysis of the Schiff bases and their complexes. The metal complexes are non-hygroscopic, stable at room temperature and soluble in DMSO and methanol but insoluble in water and ethanol. The analytical data of the metal complexes indicated the formation of the targeted compounds of general formula [ML2]X, where M = Fe(II), Mn(II), Ni(II), Co(II), Cu(II), Zn(II), Mo(II), Cd(II) and Pt(II); L = Ligand; X = 2Cl, SO4 or NO3 this achievement were based on molar conductance, infrared, UV/Visible electronic and 13C-NMR spectra and 1H-NMR. Figure-1: Proposed structures of the L1 and L2 complexes (metal ligand interaction appears in red colour). The obtained molar conductance values were relatively low for most complexes (8-19 Ohm-1cm2mol-1) by using DMSO as solvent which are shown in (Table-1) and (Table-2), which indicates the existence of an electrolytic behaviour of the complexes. The infrared spectra of the L1 and L2 ligands as shown in the Table-3, exhibited a broad medium intensity stretching bands around 3271 and 3392 cm-1 (phenolic hydroxyl group, Ar–OH), characteristic stretching bands at 1610 and 1635 cm-1 (imine group, C=N) and strong bands at 1692 and 1647 cm-1 (carbonyl group of pyrazolone ring, C=O) of L1 and L2 respectively. All infra red spectra of the synthesized complexes showed significant shift in the absorption of the three mentioned groups which indicate their involvement in the formation of coordinate bonds with metals. The reduction of double bond nature of the carbon-nitrogen bond of the imine group leads to lower or higher shift in the frequencies of their bands at (1625-1593 cm−1) and (1649-1622 cm-1) for L1 and L2 complexes. The stretching frequency of phenolic hydroxyl groups of all complexes are shifted to higher regions (L1 = 3283-3326) cm−1 and L2 = 3436-3462 cm−1) in comparison with the free ligands. Additionally, participation of phenolic oxygen (C–O) in the coordination with the metal is supported by the shifting its bands in all complex’s spectra to higher frequencies (1374-1394 cm-1). Broad band appears in metal complexes spectra (2931-3419 cm-1), which states the existence of water molecules in the complexes crystals which may overlap with the position of the hydroxyl group peaks. The sharp strong peak of the carbonyl group of pyrazolone ring which appears at 1692 and 1647 cm-1 in the free L1 and L2 Schiff base ligands spectra respectively, was shifted to lower or higher frequencies (L1 = 1675-1719 cm−1) and L2 = 1626-1683 cm−1) in the entire complexes, which indicates the participation of the carbonyl oxygen in the coordination of the complex. Presence of new weak band in the IR spectra of L1 complexes at 472-518 cm−1 and 419- 452 cm−1, which are distinctive to the structure of M-N and M-O coordination bond in these complexes. For L2 complexes, these coordination bonds appear in the region 513 to 536 cm−1 and 419 to 434 cm−1 respectively. The UV/Visible spectra of the L1 and L2 Schiff base ligands and their metal complexes are recorded in DMSO at the wavelength in the range 200-800 nm. The UV/Visible spectra of L1 and L2 showed three bands at 317, 336 and 343 nm which may be attributed to n→π* and π→π* transitions. The incorporation of the active groups (carbonyl, azomethine and the hydroxyl group) in the formation of complexes may leads to a shifting of the three bands to higher wavelength (328-336, 348-352 and 368-372 nm). Additional bands were detected in the UV/Visible spectra of the complexes at display bands at 421-427, 482-490 and 528-533 nm; they may be attributed to the electronic transition within the complexes of d→d type. 1H-NMR spectra of the L1 and L2 Schiff base ligands and their metal complexes have four types of protons as shown in the experimental part of this paper, azomethine group is the most affected with the complexation as it was detected as singlet peak at 9.22 ppm and 9.32 ppm for free L1 and L2 Schiff base ligands respectively. Downfield shift of azomethine peak chemical shifts were observed in all complexes which may be attributed to the deshielding of the nitrogen atom electrons. 13C-NMR spectra showed the peaks of both carbons of azomethine and carbonyl at 164 ppm and 159 ppm for both L1 and L2 ligands, these are the most affected peaks upon the complex formation and shifted downfield in all complexes spectra. The achieved biological results which showed the zone of inhibition in mm for the free L1 and L2 free Schiff bases and their complexes are listed in Table 4. The entire synthesized compounds were screened for both antibacterial and antifungal activity at concentration 5 µM against one Gram (-) bacterial strain (Escherichia coli) and one Gram (+) bacterial strain (Staphylococcus aureus). In addition to the antibacterial screening the synthesized compounds were also screened on fungi strain called Candida albican) utilising agar diffusion method. In general, both L1 and L2 ligands showed lower activity against all tested bacteria and fungi than standard drugs (Ciprofloxacin and Ketoconazole), while the metal complexes are more active compared to the parent ligands and standard drugs. Comparing the antimicrobial results of the free ligands and the synthesized complexes showed that complexation of the ligand with metals has enhanced their antimicrobial potential and the P value was <0.05 indicating a significant statistical difference between the free ligands and the synthesized complexes. The enhancement was more pronounced in case of Cd (II) and Co (II) against Escherichia coli, Cu (II) and Mo (II) against Staphylococcus aureus, and Pt (II) and Zn (II) against Candida albicans. These differences in the biological activities of the metal complexes for different metals could be related to the nature of the metal ions and the donor sequence of the ligands. In addition, different ligands exhibit different biological properties and the complexes of each metal could adopt a distorted octahedral geometry around the metal ion. The polarity of the metal ion will be reduced upon the complexation due to the partial sharing of positive charges with donor groups that increases the lipophilicity of the complexes. The enhanced lipophilicity increases the diffusion of the complexes through the lipid membranes and consequently blocking the allocated metal binding sites in the targeted enzymes of the microorganisms . Abdur et al. have synthesized many Schiff base, 3-(((4-chlorophenyl)imino)methyl)benzene-1,2-diol (HL1) and Schiff base 3-(((4-bromophenyl)imino)methyl)benzene-1,2-diol (HL2) and both of the Schiff bases were used to synthesize their zinc (II) and cobalt (II) complexes. They screened these compounds for enzyme inhibition, cytotoxic and antibacterial activities. In addition, they tested them for in vivo antidiabetic activities and they found some of these compounds were active. Their results indicated that Zn Schiff base complex was a good inhibitor of alkaline phosphatase enzyme and possess highest potential against blood cholesterol level, diabetes and cancer cells. The results obtained by the Abdur et al. confirmed the biological properties . The enhancement of the antimicrobial activity of Schiff bases derivatives of 4-aminoantipyrine by metal chelation has been studied. Two structurally related Schiff base ligands (L1 and L2) have been synthesized by the condensation of salicylaldehyde and 2-hydroxynaphthaldehyde with 4-aminoantipyrine. Several divalent metal complexes were also synthesized based on both L1 and L2 ligands. FT-IR, molar conductivity, UV/visible, 1H-NMR and 13C-NMR are the main spectroscopic tools used for the structure elucidation of the free ligands and their complexes. The ligands act as tridentate donor by using their carbonyl, hydroxyl and azomethine moieties as binding sites for the metals. The octahedral structures were proposed for most complexes, while the Cu (II) complex showed tetragonal geometry. The biological activity investigation shows the enhancement of the antimicrobial activity of the free ligands and the synthesized complexes against Escherichia coli, Staphylococcus aureus, and Candida albicans via complexation. Magd-El-Din AA, Mousa HA, Labib AA, Hassan AS, El-All AA, et al. (2018) Benzimidazole–Schiff bases and their complexes: synthesis, anticancer activity and molecular modeling as Aurora kinase inhibitor. Zeitschrift für Naturforschung C.
Malik MA, Dar OA, Gull P, Wani M Y, Hashmi AA (2018) Heterocyclic Schiff base transition metal complexes in antimicrobial and anticancer chemotherapy. MedChemComm, 9: 409-436. Kalaiarasi G, Rajkumar SRJ, Aswini G , Dharani S, et al. (2018) 3-Acetyl-8-methoxy-2 [H]-chromen-2-one derived Schiff bases as potent antiproliferative agents: Insight into the influence of 4 (N)-substituents on the in vitro biological activity. Spectrochimica Acta Part A: Molecular and Biomolecular Spectroscopy 200: 246-262. Krungkrai J, Supuran CT (2008) The alpha-carbonic anhydrase from the malaria parasite and its inhibition. Current pharmaceutical design 14: 631-640. Sharma M, Chauhan K, Srivastava RK, Singh SV, Srivastava K, et al. (2014) Design and Synthesis of a New Class of 4?Aminoquinolinyl?and 9?Anilinoacridinyl Schiff Base Hydrazones as Potent Antimalarial Agents. Chemical biology & drug design 84: 175-181. Harpstrite SE, Collins SD, Oksman A, Goldberg DE, SharmaV (2008) Synthesis, characterization, and antimalarial activity of novel schiff-base-phenol and naphthalene-amine ligands. Medicinal chemistry (Shariqah (United Arab Emirates)) 4: 392-395. Okoli B, Modise J (2018) Investigation into the Thermal Response and Pharmacological Activity of Substituted Schiff Bases on α-Amylase and α-Glucosidase. Antioxidants 7:113. Carreño A, Rodríguez L, Páez-Hernández D, Martin-Trasanco, R, Zúñiga, et al (2018) Two New Fluorinated Phenol Derivatives Pyridine Schiff bases: Synthesis, Spectral, Theoretical Characterization, Inclusion in Epichlorohydrin-β-cyclodextrin Polymer, and Antifungal Effect. Frontiers in chemistry 6. Malik MA, Dar OA, Gull P, Wani MY, Hashmi AA (2018) Heterocyclic Schiff base transition metal complexes in antimicrobial and anticancer chemotherapy. MedChemComm 9: 409-436. Anush SM, Vishalakshi B, Kalluraya B, Manju N (2018) Synthesis of pyrazole-based Schiff bases of Chitosan: evaluation of antimicrobial activity. Int j bioll macromolecules 119: 446-452. Salve PS, Alegaon SG, Sriram D (2017) Three-component, one-pot synthesis of anthranilamide Schiff bases bearing 4-aminoquinoline moiety as Mycobacterium tuberculosis gyrase inhibitors. Bioorg Med Chem Lett 27: 1859-1866. Amim RS, Pessoa C, Lourenco MC, de Souza MV, Lessa JA (2016) Synthesis, Antitubercular and Anticancer Activities of p-nitrophenylethylenediamine-derived Schiff Bases. Med Chem 4. Conner EM, Reglinski J, Smith WE, Zeitlin IJ (2017) Schiff base complexes of copper and zinc as potential anti-colitic compounds. Biometals 30: 423-439. Lamie PF, Ali WAM, Bazgier V, Rarova L (2016) Novel N-substituted indole Schiff bases as dual inhibitors of cyclooxygenase-2 and 5-lipoxygenase enzymes: Synthesis, biological activities in vitro and docking study. Eur J Med Chem 123: 803-813. Tantaru G, Nechifor M, Apostu M, Vieriu M, Panainte AD, et al. (2015) Antinflammatory Activity of an N, N'-Disalicylidenemethylendiamine-Derived Schiff Bis Base and Its Copper (Ii) Complex. Rev Med Chir Soc Med Nat Iasi 119: 1195-1198. Duru KU, Kamaci M, Peksel A (2017) Thermally Stable Schiff Base and its Metal Complexes: Molecular Docking and Protein Binding Studies. J Fluoresc 27: 805-817. Palopoli C, Gomez G, Foi A, Doctorovich F, Mallet-Ladeira S, et al. (2017) Dimerization, redox properties and antioxidant activity of two manganese (III) complexes of difluoro- and dichloro-substituted Schiff-base ligands. J Inorg Biochem 167: 49-59. Tyagi P, Chandra S, Saraswat BS, Sharma D (2015) Design, spectral characterization, DFT and biological studies of transition metal complexes of Schiff base derived from 2-aminobenzamide, pyrrole and furan aldehyde. Spectrochim Acta A Mol Biomol Spectrosc143: 1-11. Forosenko NV, Basalov IV, Cherkasov AV, Fukin GK, Shubina ES, et al. (2018) Amido Ca(ii) complexes supported by Schiff base ligands for catalytic cross-dehydrogenative coupling of amines with silanes. Dalton Trans 47: 12570-12581. Basu Baul TS, Kehie P, Duthie A, Guchhait N, Raviprakash N, et al. (2017) Synthesis, photophysical properties and structures of organotin-Schiff bases utilizing aromatic amino acid from the chiral pool and evaluation of the biological perspective of a triphenyltin compound. J Inorg Biochem168: 76-89. Mnguni MJ, Lemmerer A (2015) A structural study of 4-aminoantipyrine and six of its Schiff base derivatives. Acta Crystallogr C Struct Chem 71: 103-109. Anupama B, Sunita M, Shiva LD, Ushaiah B, Gyana KC (2014) Synthesis, spectral characterization, DNA binding studies and antimicrobial activity of Co (II), Ni (II), Zn (II), Fe (III) and VO(IV) complexes with 4-aminoantipyrine Schiff base of ortho-vanillin. J Fluoresc 24: 1067-1076. Raman N, Sakthivel A, Pravin N (2014) Exploring DNA binding and nucleolytic activity of few 4-aminoantipyrine based amino acid Schiff base complexes: a comparative approach. Spectrochim Acta A Mol Biomol Spectrosc 125: 404-413. Selwin JR, Shiju C, Joseph J, Justin DC, Arish D (2014) Synthesis and characterization of metal complexes of Schiff base ligand derived from imidazole-2-carboxaldehyde and 4-aminoantipyrine. Spectrochim Acta A Mol Biomol Spectrosc 133: 149-155. Gopalakrishnan S, Joseph J (2009) Antifungal Activities of Copper (II) with Biosensitive Macrocyclic Schiff Base Ligands Derived from 4-Aminoantipyrine Derivatives. Mycobiol 37: 141-146. Chandra S, Jain D, Sharma AK, Sharma P (2009) Coordination modes of a schiff base pentadentate derivative of 4-aminoantipyrine with cobalt (II), nickel (II) and copper (II) metal ions: synthesis, spectroscopic and antimicrobial studies. Molecules 14: 174-190. El Sonbati AZ, Diab MA, El Bindary AA, Abou-Dobara MI, Seyam HA (2013) Supramolecular coordination and antimicrobial activities of constructed mixed ligand complexes. Spectrochim Acta A Mol Biomol Spectrosc 104:213-221. El Sonbati AZ, Diab MA, El Bindary AA, Abd El-Kader MK (2012) Supramolecular and structural modification on conformational by mixed ligand. Spectrochim Acta A Mol Biomol Spectrosc 99:211-217. Thavuduraj Kavitha, Antonysamy Kulandaisamy, Ponnusamy Thillaiarasu (2012) Synthesis characterisation, redox and biological screening study of copper (II), nickel (II), cobalt (II), zinc (II) and vanadium (IV) complexes derived from 1-phenyl-2,3-dimethyl-4-imino-(2-hydroxybenzylidene)-pyrozol-5-(á-imino)-indole-3-propionic acid. Int J Chem Tech Res 4: 1571-1581. Leelavathy C, Arul AS (2013) Synthesis, spectral characterization and biological activity of metal (II) complexes with 4-aminoantipyrine derivatives. Spectrochim Acta A Mol Biomol Spectrosc113: 346-355. Singh k, Barwa,MS, Tyagi P(2007) Synthesis and characterization of cobalt (II), nickel (II), copper (II) and zinc (II) complexes with Schiff base derived from 4-amino-3-mercapto-6-methyl-5-oxo-1, 2, 4-triazine. European J Med Chem 42: 394-402. Kandile NG, Mohamed MI, Ismaeel HM (2015) Synthesis and in vitro biological evaluation of new heterocycles based on the indole moiety. 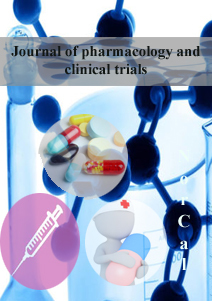 Journal of enzyme inhibition and medicinal chemistry 30: 140-151. Taddei M, Dau PV, Cohen SM, Ranocchiari M, van Bokhoven (2015) Efficient microwave assisted synthesis of metal–organic framework UiO-66: optimization and scale up. Dalton Transactions 44: 14019-14026. Martins L ,Nasani R, Saha M, Mobin S, Mukhopadhyay S (2015) Greener selective cycloalkane oxidations with hydrogen peroxide catalyzed by copper-5-(4-pyridyl) tetrazolate metal-organic frameworks. Molecules 20: 19203-19220. Kumar S, Engman L (2006) Microwave-assisted copper-catalyzed preparation of diaryl chalcogenides. J organic chem 71: 5400-5403. Tan KL, Vasudevan A, Bergman RG, Ellman JA, Souers AJ (2003) Microwave-assisted C− H bond activation: a rapid entry into functionalized heterocycles. Organic letters 5: 2131-2134. Kopf I, N'Dongo HWP, Ballout F, Schatzschneider U, Bründermann E,Havenith M (2012) Introducing cymantrene labels into scattering scanning near-field infrared microscopy. Analyst 137: 4995-5001. 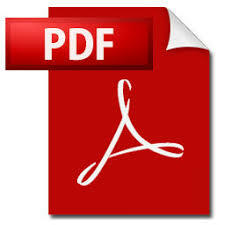 Charde M, Shukla A, Bukhariya V, Chakole D. (2012) A review on: a significance of microwave assist technique in green chemistry. Int J Phytopharm 2: 39-50. Elshaarawy RF, Janiak C (2016) Antibacterial susceptibility of new copper (II) N-pyruvoyl anthranilate complexes against marine bacterial strains–In search of new antibiofouling candidate. Arabian J Chem 9: 825-834. Rauf A, Shah A, Munawar KS, Khan AA, Abbasi R, Yameen M (2017) Synthesis, spectroscopic characterization, DFT optimization and biological activities of Schiff bases and their metal (II) complexes. J Molecular Structure 1145: 132-140.